This PDF 1.5 document has been generated by Microsoft® Word 2010, and has been sent on pdf-archive.com on 21/03/2014 at 17:55, from IP address 67.91.x.x. The current document download page has been viewed 603 times. File size: 235 KB (17 pages). may offer 90 days of Complimentary Limited Technical Support by phone without a fee. Limited Warranty. Please see the product description page for applicable products. covered by the HP Limited Warranty for that particular HP-branded peripheral or product. Consult your HP Limited Warranty for that product to determine your rights and obligations. and limitations may be limited in their application to you. 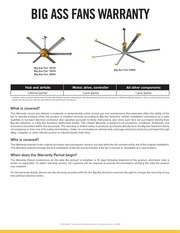 LIMITED TO THE DURATION OF THE EXPRESS WARRANTY SET FORTH ABOVE. MODIFIED TO BE CONSISTENT WITH SUCH LOCAL LAW. HP Limited Warranty is subject to all applicable national export and import laws and regulations. limitation may be limited in its application to you. your HP Hardware Product in the servicing country or region. damage or defect is found to be unrelated to the overclocking. 3. parts intended for one system are installed in another system of different make or model. 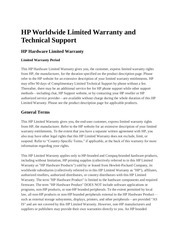 in this HP Limited Warranty. had a warranted failure, you may be required to run an HP diagnostic test. end-user customer or any HP support contract with the end-user customer for the printer. authorized original equipment manufacturer (OEM) printing device. 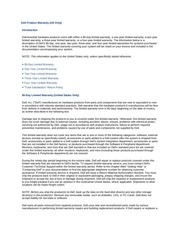 COUNTRY LAWS FOR A FULL DETERMINATION OF YOUR RIGHTS. provide warranties directly to you. to return the defective unit may result in HP billing the customer for the replacement product. the display when the system is idle. the personal computer. Check the warranty statement of the personal computer for details. This file has been shared by a user of PDF Archive. Document ID: 00153228.